Faizan Mumtaz has been working as a mentor for Muslim youth since the age of 13 through Young Muslims (YM) where he served various leadership positions at the local and national level for over a decade. He studied Classical Arabic at the Fajr Institute in Cairo, Egypt. Faizan Mumtaz has been working as a mentor for Muslim youth since the age of 13 through Young Muslims (YM) where he served various leadership positions at the local and national level for over a decade concluding with his service as vice-president. He studied Classical Arabic at the Fajr Institute in Cairo, Egypt under the expert care of Ustadh Musa Shaukat. Ustadh Faizan began his passion of teaching Quranic Arabic in 2007 with Islamic Learning Foundation (ILF) where he taught summer intensives, conducted private tutoring, and helped design the 1-year Quranic Arabic Program. He learned the joy of teaching children at Rockford IQRA School where he was the head of the Arabic and Islamic Studies departments and taught grades 4-12. Ustadh Faizan also served as a full-time instructor for Bayyinah Institute in Dallas, TX. He led the strategy for the first ever part-time evening Arabic program, designed and taught two new traveling programs (Bayyinah Kids and Youth Night), and taught multiple subjects for the Dream Program including Balagha (Arabic Rhetoric). 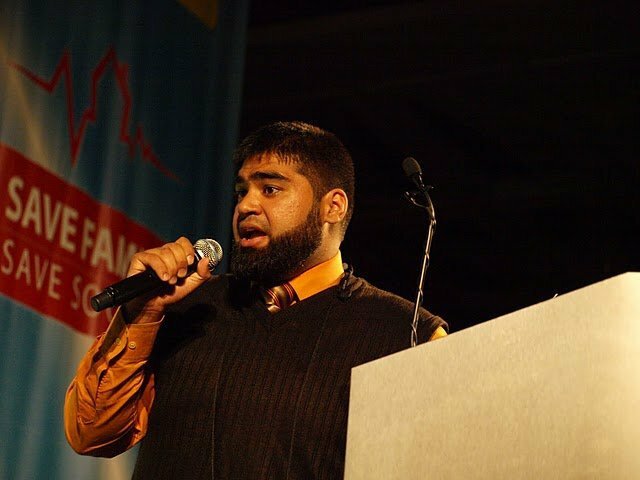 Ustadh Faizan has also served as an Arabic educator for Islamic School of Irving, Arqam Virtual Academy, and Jabal Institute. He currently works as an IT Project Manager by day and teaches Arabic and Quranic Studies evenings and weekends for Fawakih in the Chicagoland area. Islam is THE fastest growing religion in the world, and approximately a quarter of the world’s population practices it on a daily basis. Faizan Mumtaz discusses the core tenets of Islam, its universal teachings, and its origins. What does a practicing Muslim’s daily schedule look like, and why does it need to be that way? Can someone be Muslim and American? No questions are offensive or too silly to be addressed. Faizan was born and raised in a Muslim household, but he grew up in the neighboring suburbs of Chicago and attended public school. He chose Islam for himself, and loves to share why. Is Michael Hart’s book, “The 100 : A Ranking of the Most Influential Person’s in History“, he ranks the Prophet Muhammad as the number one most influential person in the history of the world. Muhammad was an orphan by age six, illiterate his whole life, and grew up in poor economic conditions. His life of resilience serves as inspiration to billions of people. Fun Fact: Muhammad is the most common name in the whole world. The Quran is the central religious text of Islam, which Muslims believe to be a revelation from God. It is widely regarded as the finest work in classical Arabic literature. While Muslims look to the Quran for guidance, historical stories, and morals similar to how Christians may revere the Bible, both the Bible and Quran are often misquoted and misinterpreted, giving the religion itself a poor image. In this talk, Faizan explores the history and context of the Quran, and demystifies common misused and abused verses from Quran to shed light on the truth in a humanistic and global message.